I love our Disney World and Disneyland trips and like to think I’m pretty good at planning our Disney vacations. I thought a Disney cruise wouldn’t be much different. You know what I found out? It’s actually pretty different! 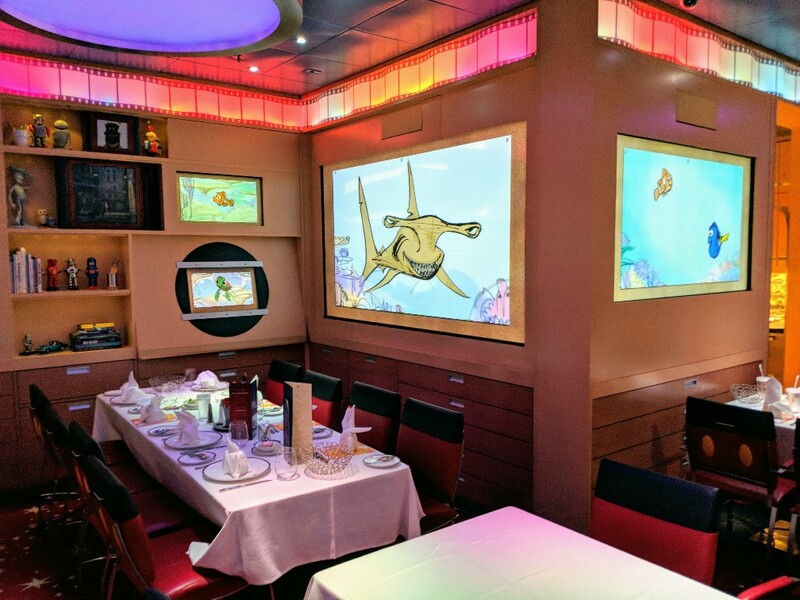 There were many surprises both during my research and on our Disney cruise ship, the Disney Dream. 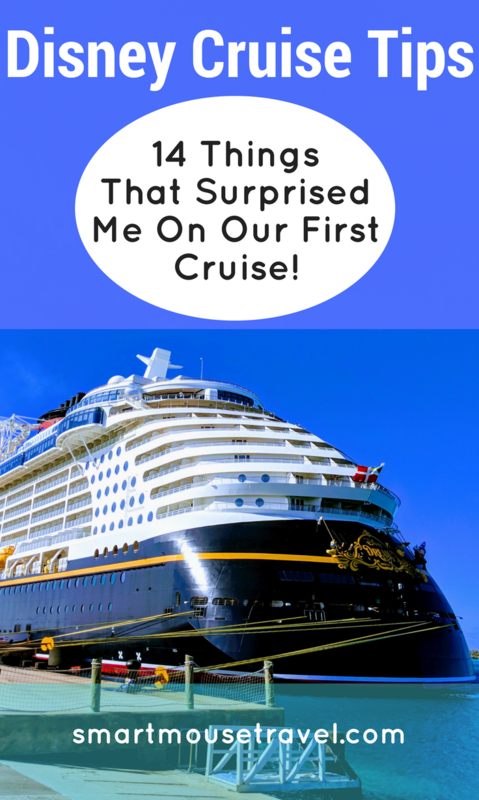 To help you avoid some of my embarrassing moments I will share the top things that surprised me so you are better prepared with these Disney cruise tips. Our first night we walked into Animator’s Palate and were shown to our dinner table. Except there were already 5 people sitting at the table. I assumed there was some mistake and they thought we were travelling together. Nope. Sometimes you are just seated with other families. After a few awkward moments we introduced ourselves and ended up having a great meal. The family was super nice, which was good, because these are your dinner table mates for the entire cruise. By the end of the cruise we looked forward to seeing our table mates at dinner. It gave Elizabeth a chance to chat with other kids in the family, and we liked the parents, too. We ended up exchanging phone numbers at the end of the trip which just goes to show sometimes something a little different can be a great opportunity. Disney has an amazing level of customer service, so that didn’t surprise me. What did surprise me is how much more accommodating the Disney cruise staff seemed. There is free room service to your stateroom. Nice, right? We only used this service a couple of times, but the staff was super friendly each time. You could order anything you like off of the room service menu, or just ask for something random like cereal and they would bring it. Another example of this was at dinner one night. My husband and I were discussing ordering two different entrees and sharing. The server insisted on bringing a plate of sea bass for each of us and then a third entree of scallops to share. I am a rule follower and felt like it was wrong to get the 3 entrees, but our server was right. If I had ordered the scallops I would have been hungry after dinner, not because that meal was too small, but because Mr. Smart Mouse gobbled them up! 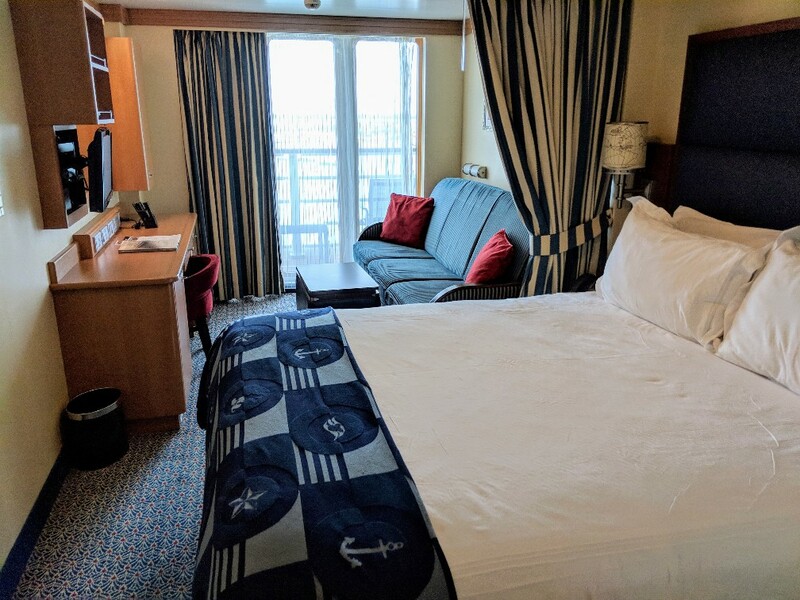 Disney cruise staterooms are known to be more spacious than other cruise lines, but they are still smaller than lots of standard hotel rooms. However, Disney Cruise Line has lots of clever hacks to make the Deluxe Oceanview Stateroom with Verandah a comfortable room. The bathroom is split. 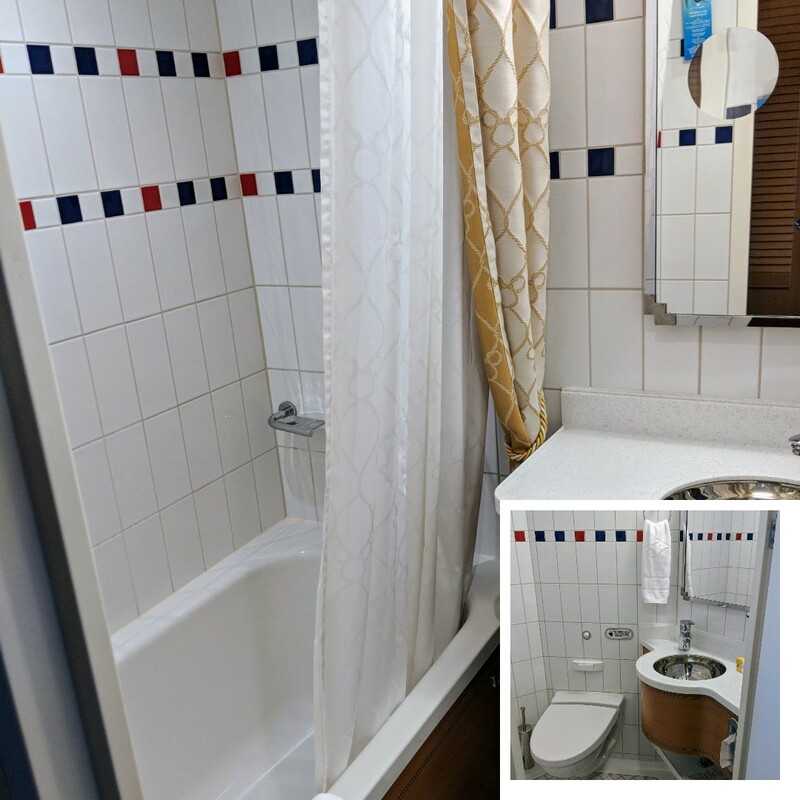 There are two completely separate rooms: one with a toilet and sink and one with the shower/tub and second sink. This feature was incredibly handy for allowing two people to get somewhat ready simultaneously. There is a ton of storage in the stateroom. We were able to fit our two large suitcases and a roller carry-on bag under the bed with ease. 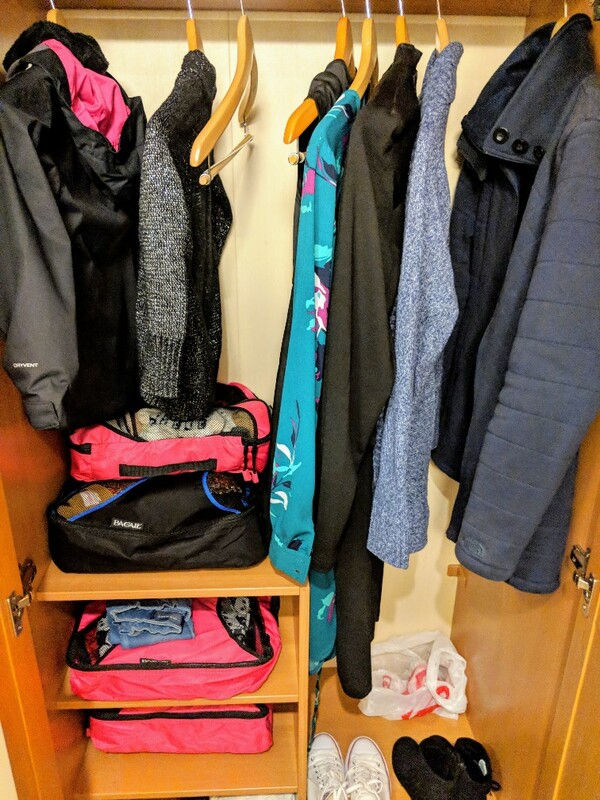 Our clothes were all in packing cubes (affiliate link: buy it on Amazon) so it was easy to place them into the closet shelves or dresser drawers. We also had plenty of space to hang items. In fact, we had several unused storage spaces on our 3-night cruise. A privacy curtain can be pulled across the room to shield the kids’ sleeping area from the main sleep area. This was great since Elizabeth would go to bed ahead of us, but we could keep the lights on and get ready for bed without being a total nuisance to her. Another cool touch is the built-in nightlight in the kids’ sleeping area. Although I had packed a nightlight, it was nice to just use the one provided in the ceiling. And it was bright enough for us without being too bright to sleep. Pro tip: I brought a battery powered night light with us. This battery night light was perfect to use in the toilet/sink part of the bathroom at night since there was no plug in that room. Elizabeth loved the huge catalog of on-demand Disney movies available to watch on our stateroom TV. She was able to watch 101 Dalmatians and Rescuers Down Under over the course of our trip. One of the best features of the on-demand movies is they automatically save your place when you stop watching. When you return look for the bookmark tab and choose the movie. You will resume the movie right where you left off. On the Disney Dream there were two swimming pools. The pools were much smaller than I expected. They were great to pop into and out of to cool off, but would not work for real swimming. However, the size of the pools never seemed to be a problem for people. This is likely because there were also two splash pad areas, a hot tub, and a water coaster, the AquaDuck. I thought the kids clubs were always secure places to drop off kids age 3-12 years old. This is certainly true, but not all the time. There were times throughout the cruise that an open house occurred at The Oceaneer Club. The positives: These open houses allowed anyone to enter The Oceaneer Club. This gave us the opportunity to scope out the play areas and activities with Elizabeth the first day. 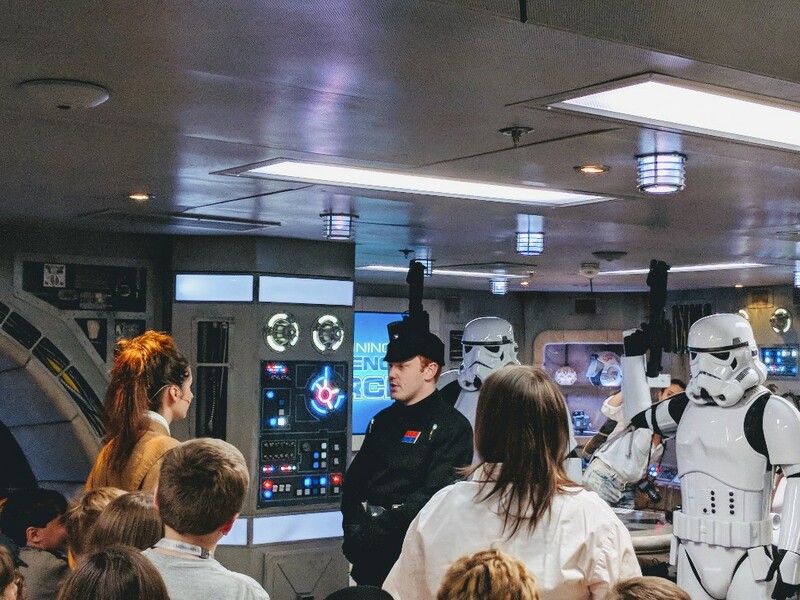 We also got to watch her and others participate in Jedi Training: Experience the Force during an open house. We had fun watching her group learn from a Jedi, use the Force and thwart some stormtroopers. Mr. Smart Mouse and Elizabeth also got to play Disney Infinity on Xbox together for a bit. The negatives: If you want to drop your child off at The Oceaneer Club during an open house it will not be a secure facility. This means your child may come and go as they please and anyone may enter the club at that time, too. I don’t perceive myself as someone who is constantly using my phone or other technology, but I now know I use it more than I realize. It took me a full day on the cruise to stop checking my phone periodically for social media notifications. I have noticed that since we came back I have kept some of those good habits. I have been more careful to not allow social media to distract me from what is going on in the moment. Mr. Smart Mouse thoroughly enjoyed being unplugged. It gave him a chance to use all his random trivia knowledge since we couldn’t just Google answers. I can’t really explain why we felt like this way, but we all agreed that we really connected as a family on our Disney cruise. This feeling of togetherness has continued over the weeks since we have returned home. We did a lot on the Disney Dream. We spent an entire day just exploring the ship and still only did a small fraction of the activities offered. Don’t believe me? Check out this article covering just the family friendly options that were offered during our Disney cruise. I am extremely careful about germs (I may buy Wet Wipes packets in bulk), so the idea of buffets and people in close quarters on the ship worried me a bit. However, every time we approached a restaurant or buffet we were encouraged by staff to use sanitizing wipes before entering. The Oceaneer Club staff also had kids wash their hands at cool automatic washing stations prior to entering the kids club. 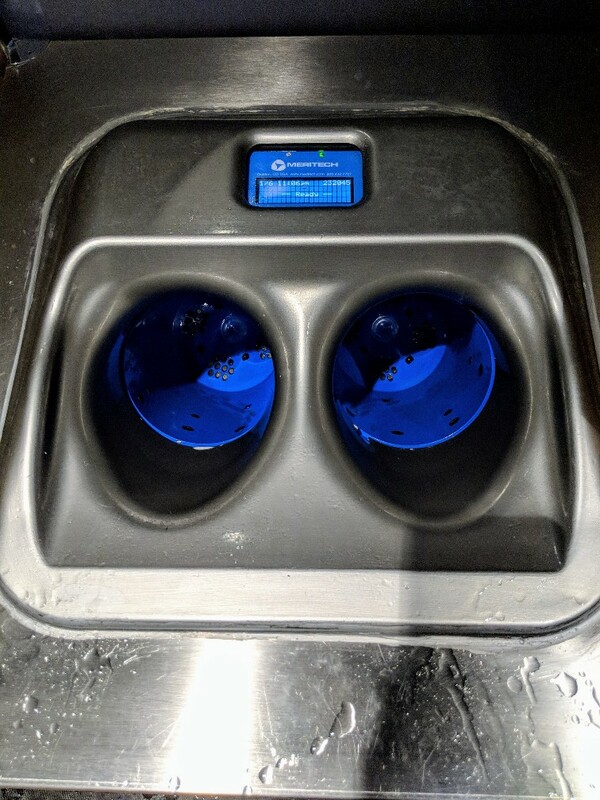 I also noticed that any time we used a public restroom on the ship an attendant was currently maintaining or had just left from cleaning the restroom. When registering Elizabeth for the kids club we were asked if we would like to authorize her to check herself in and out of the club. It had never occurred to me that this would be an option for the older elementary age kids. This was my least favorite part of the cruise. Not only was vacation over, but we needed to be out of our stateroom by 8:00 am and off Disney Dream no later than 9:15 am. For those who had first seating for dinner, breakfast was served at 6:45 am and those who had second seating still had breakfast at 8:00. Pro tip: We have good friends that are Disney Cruise experts. They warned me of the early disembarking breakfast (I thought they were exaggerating). I followed their advice and ordered some cereal, milk and fruit from room service the day before the cruise ended. Having a quick breakfast in our room made leaving on time much easier. 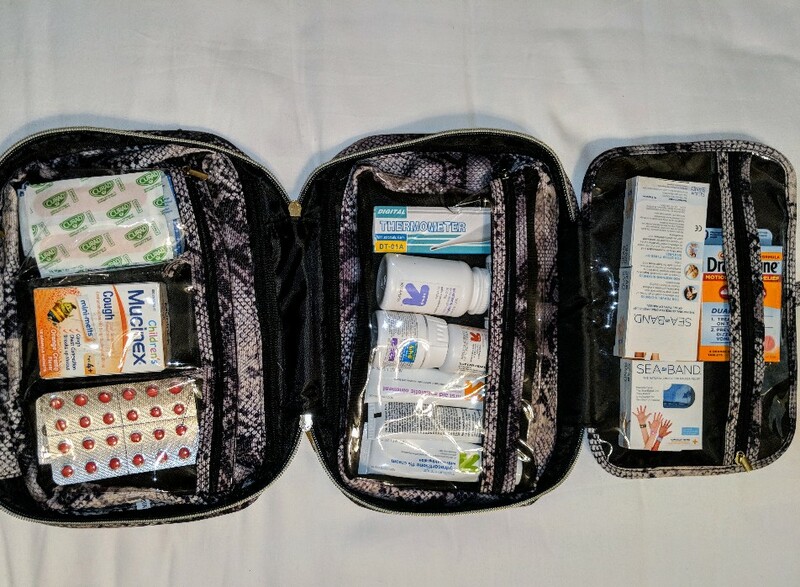 I always pack a pretty serious first aid kit with a variety of medications (you’d be surprised how many medications contain corn derivatives that make Elizabeth sick). For our Disney cruise I added something new: Sea-Bands. Sea-Bands are a non-drug anti-motion sickness aid. When the bands are properly placed on an accupressure point they help relieve motion sickness. I was skeptical, but they really did work for us. Overall, we were very fortunate that no one had severe motion sickness on the cruise. Elizabeth did have some mild discomfort in the evenings when we were out at sea, but just using the Sea-Bands (affiliate link: buy on Amazon) was enough to make her comfortable in the evening and to sleep. I used my Sea-Band (affiliate link: buy on Amazon) the first night but did not use them again for the rest of the trip. Mr. Smart Mouse was good to go with no help the entire cruise. Overall, the Disney Cruise staff was exceptional. You really get to know your stateroom attendant and servers over the course of your cruise. They gave fantastic recommendations on what to see and do, helped take care of any concern, and made the trip so easy. Before we went on our Disney cruise I didn’t realize why there was a specific suggested gratuity for these staff, but after our cruise I think they deserve so much more (and you can tip above the recommendation). Vickie, Marko, Rakesh and Gunawan all played a very special role in our trip and we appreciated how they took amazing care of us. I did a lot of research before our Disney Cruise, but still found so many things surprising on our trip. And so many of these surprises were positive! Our time on Disney Dream was such a fantastic experience that I hope to take a Disney Cruise again sometime. 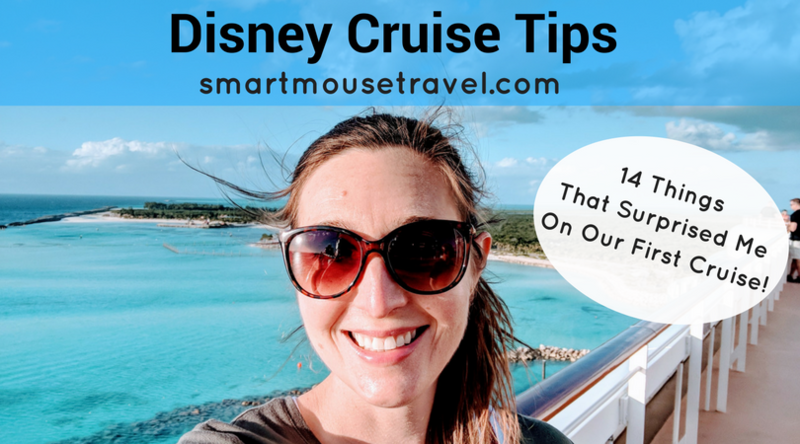 I hope you find these Disney cruise tips helpful for your first cruise! Have you been on a Disney Cruise? What things surprised you that I didn’t include in this list? These are def good cruise tips in general. I cruised alot before I had kids and am so excited to be going with the kids (finally) not on disney, but I know some of this advice would ring true. I love your med kit! You need to do a post on that! That’s a good idea! I should write and article about the med kit – it has saved us many times! There is a washer and dryer to do laundry. 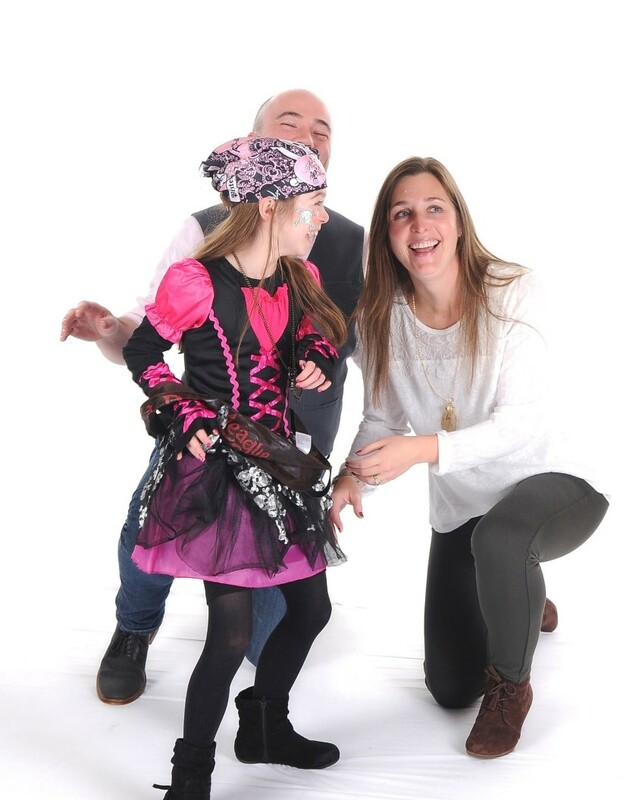 Awesome with kids. You are right! The on board laundry rooms are really nice especially if you do a land and sea trip. Then you don’t have to pack as much!